Much thanks goes to the Erowid visitor who contributed this book to our library via our Amazon Wishlist. 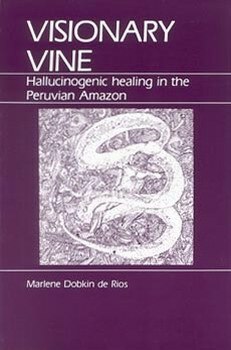 Visionary Vine is a true contribution to the mapping out of the effects of drug consumption in South American Societies. The author examines the use by urban healers of a plant hallucinogen, ayahuasca, in the Peruvian Amazon city of Iquitos. This ethnography demonstrates how the most personal of psychic experiences--the drug effect--is influenced by culture. As one of the earliest firsthand obervations of a practicing shaman and his use of native herbal mediciens and psychedelic pharmaceuticals, this study helps readers better understand culture, illness, and healing.